This rattan dining table, with its exquisite design, will become the focal point of your garden or patio! 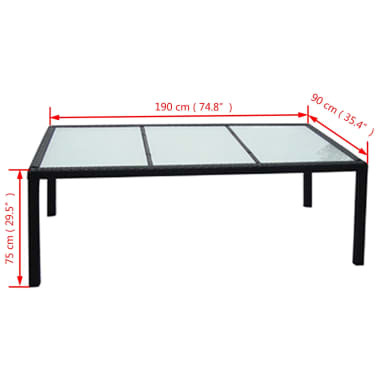 The steel frame and glass tabletop make the table sturdy and stable, but since the construction is also lightweight, the table is easy to move. 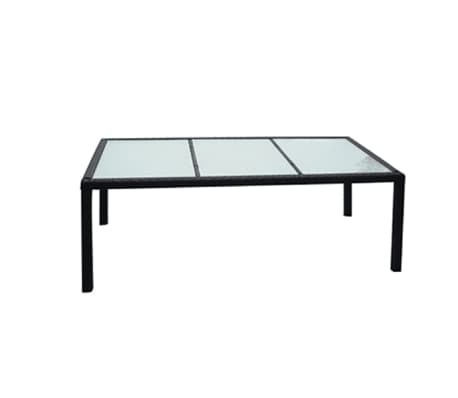 The dining table is easy to clean thanks to the weather-resistant and waterproof PE rattan. 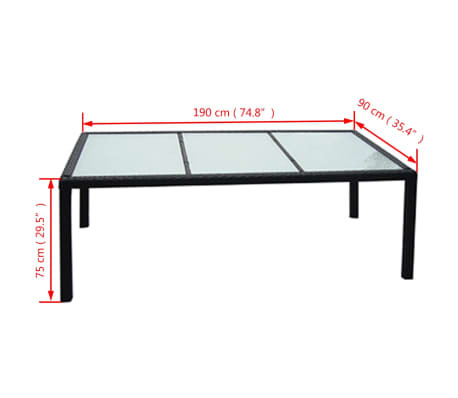 Delivery includes 1 table with a glass top. Assembly is easy.